Agencies have got to stop patting themselves on the back for taking what is "essentially a print ad, sticking it on Instagram and adding a shoppable tag," Tom Goodwin, Zenith's head of innovation said at IAB Engage. "Cutting-edge stuff," Goodwin said in a tone dripping with sarcasm. "We take things from a century before, make minimal changes and think we understand digital." Take influencer marketing, he continued, it's just "attractive people holding things up in a slightly strange way". This insistence on basing advertising today on the advertising of yesterday is holding the agency world back from connecting with a generation that has only ever known a world where you needed Wi-fi to turn a light on. "If you ask my 14-year old niece how long she spends on the online, she'd look at you blankly and go, 'What?'. Because asking her that question would be like asking you how much time you spend with electricity," Goodwin said. Advertising as we know it is based on an era where everyone had a collection of mediums that did one thing very well. TVs, radios, magazines and the cinema for example. "But today, that's all blurring together. Devices are all essentially black mirrors that can switch from one thing to another," he said. "Yet agencies handle new things by bolting on a new division. You can't put 'digital' in a separate building and hire people with more casual clothing, hang a neon sign and call it a day. That simply won't work anymore." The result of this disconnect is that the advertising world now thinks millennials are hard to reach. "What are you talking about? They’re surgically attached to their phones they’re the easiest people in the world to reach. People plotting the downfall of governments in the woods of Kansas – they’re hard to reach," Goodwin added. Perhaps this is why the new breed of disruptive and challenger companies designed for the internet, such as customisable children's book Wonderbly, tend to eschew the larger all-inclusive agencies in favour of doing the work in-house or selecting niche solutions providers. "We want to be involved in the details of the campaign and we rely heavily on analytics and performance data," Robert May, chief commercial officer at Wonderbly, told Campaign. "We book most of our media direct with Facebook and Google and that has worked well for us. We do work with Smartly.io, which handles auto-bidding and automation of our ads on Facebook." This is the case for many disruptor businesses Facebook works with, Vanessa Fitzgerald; region director northern Europe, Facebook, agreed. "They often prefer niche solutions to very specific challenges they face," Fitzgerald said in an interview. 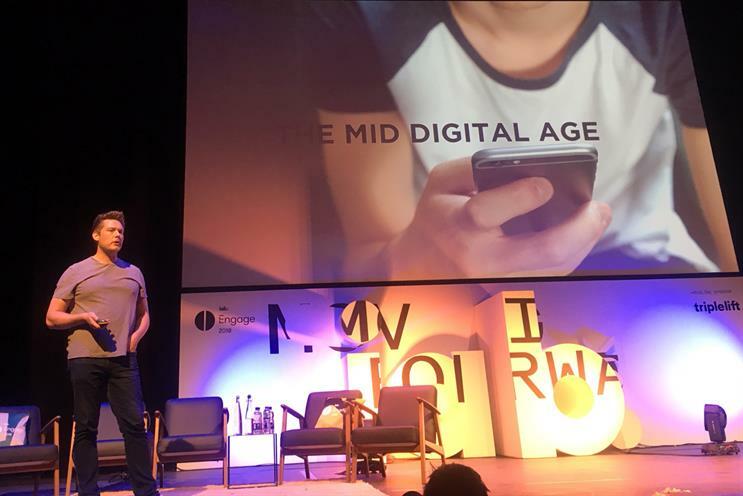 These insights are in line with the tone set by IAB Engage's opening speaker Keith Weed, Unilever's chief marketing officer, who warned that agencies were moving too slowly in response to the needs of brands. "The world has moved very fast and in my experience, the agencies haven’t moved fast enough," he said.